I’m always one to have a book on the go, all does not sit well with me if I do not have a book to read. I will read ANYTHING. Obviously I have my favourite and least favourite genres, most of the time I like reading into people that I admire or who inspire me in some way. 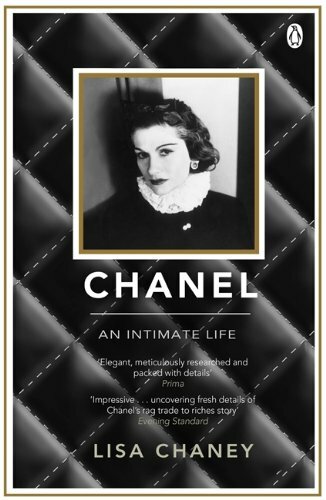 I’m currently reading Chanel: An Intimate Life by Lisa Chaney about Gabrielle “Coco” Chanel, and it’s brilliant. Really well researched and with plenty of depth; the book is a must read for anyone interested in fashion. It goes through Chanel’s life story, from her dire upbringing, to her love affairs and her eventual mega-success and the accompanying photographs provide a visual insight into Gabrielle Chanel’s personal life. I would thoroughly recommend it, I haven’t yet finished it, but really wanted to mention it on my blog as it’s definitely a book that I’m so so glad I bought! I bought mine from Harrods, but you can buy it from Amazon by clicking here. This entry was tagged 1920s, amazon, an, book, Chanel, chaney, coco, emancipation, fashion, feminism, gabrielle, Harrods, i'm, intimate, life, lisa, Paris, reading, style, what, women. Bookmark the permalink.